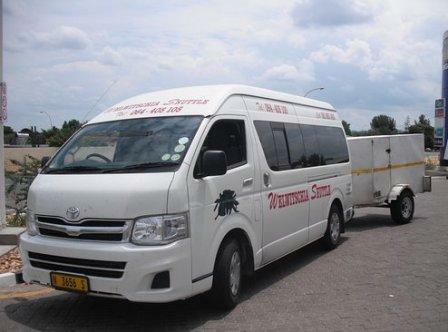 VISTA Shuttle & Tours Is a Namibian transport company which provide a shuttle services Windhoek and other tourist cities and towns within the country. 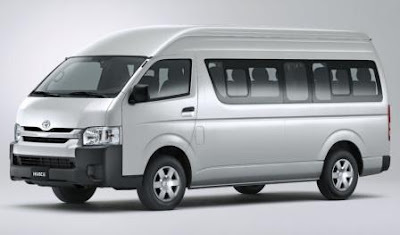 It is one among the best shuttle provider with well customized fleet for passenger comfortability. 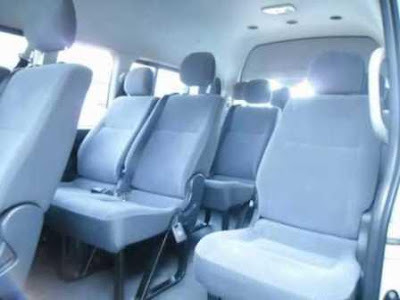 When you travel with Vista Shuttle & Tours, You will enjoy yourself in their comfortable, reliable and friendly services of their Quantum Hiace. They do provide viewing treats for your trip, with their DVD screens installed for each passenger (watch a movie of your choice), They also offer a light bevarage for our passengers on the road. 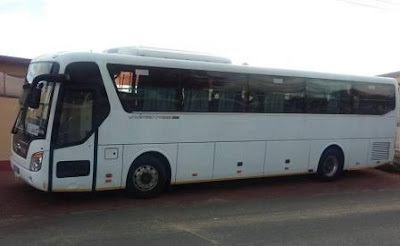 They offer a Public transport services from Windhoek to Walvis Bay and Swakopmund In Namibia. Their min bus have a well scheduled time for departure and traveling, They have morning, afternoon and evening schedule for their passengers. 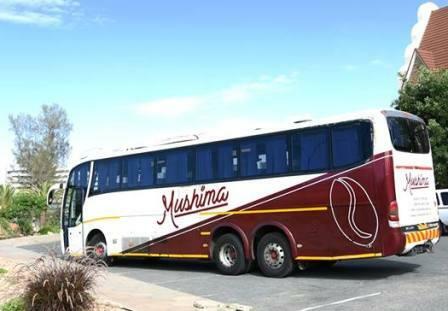 Apart from a Public transport they offer, They also offer an organized Tours within and outside Namibia. They have tours from Namibia to South Africa, Zambia and other neighboring countries for Local and International Tourists. Their Buses are also available for Hire to Individuals and even group of people. 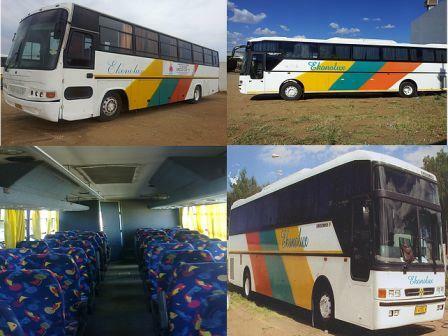 They do rent their buses to Schools, Churches, Workers and any other groups. McClune’s Shuttle Services Is a Namibian Transport company which offers a reliable shuttle between Windhoek, Swakopmund and Walvisbay that guarantee satisfaction and channel on a local and international scale. A true alternative to passenger transportation that offers a high level of practical experience, know how, confidentiality. Their vehicles has been branded and are easy to identify, which express ownership, legality, longevity and professionalism. 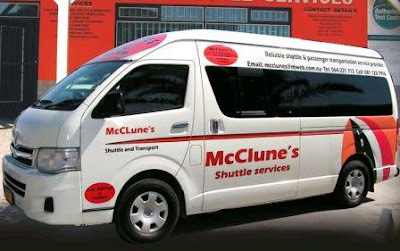 Clients must know by making use of McClune’s Shuttle Services is a much more professional and hassle free way to reach their destinations safely. Their Safety measures and driving skills are also of a very high standard. 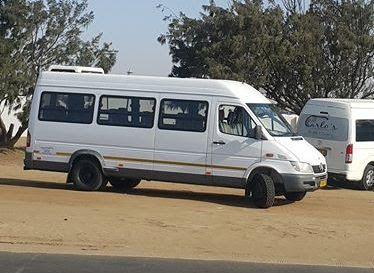 Their vehicles are equipped with the required and necessary permits that allow them to transport passengers along these routes and also are equipped with First Aid Kids and fire extinguishers. 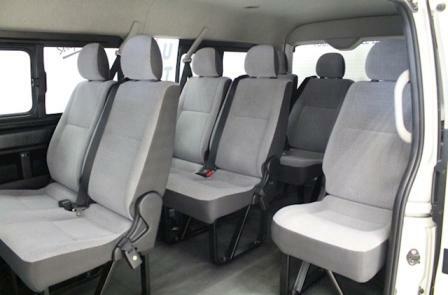 They offer 14 Seater Quantum Bus; Air-conditioned; and comfortable seats with individual seat belts. They operate 7 days a week. This is not the bus coming from Walvis Bay! McClune’s Shuttle Services provide comprehensive transportation for the individual, couples and groups to and from the Coast via Usakos, Karibib, Okahandja and Windhoek. Their service operates during office hours with no surcharge for early or late travel times. To ensure that you, their valued customer connect with your respective departure on time passengers should be ready for pick up at their residence, hotel or agreed pick up location at least 20 to 15 minutes prior to their scheduled pick up time. Passengers arriving via domestic flights: Your driver will be clearly visible and will be displaying a welcome board with the passengers name. It is important that you make contact with your driver. Passengers arriving via International flights: Your driver will be clearly visible and will be displaying a welcome board with the passengers name. It is important that you make contact with your driver. 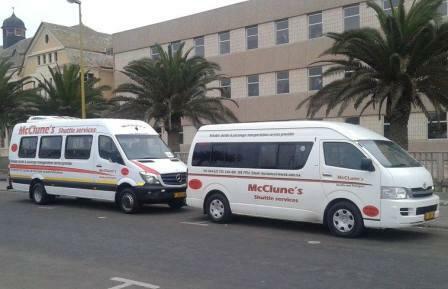 If you are unable to make contact with your driver or are delayed in passing through customs please contact McClune’s Shuttle Services. International Airport Hosea Kutako and Eros Airport, as well as at the Walvis Bay airport. 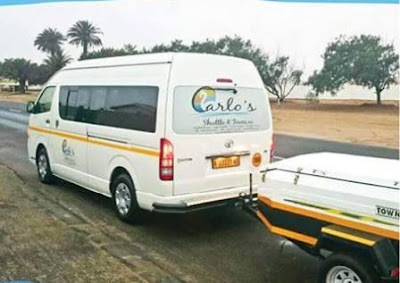 Carlo’s Shuttle & Tours Is the easiest and most effective way to get to your destination In Namibia. They provide safe and economic transportation solutions . They pride themselves in friendly, personal shuttle services and transfers. Knowing you are in safe, capable hands helps, you to relax and enjoy your transfer. They offer Personalized, Professional, Reliable and Punctual Shuttle/Transfer services. They depart daily from WIndhoek to Walvis bay or Swakopmund at 7am as well as 14h30. Depart daily from Walvis bay to Windhoek at 7am as well as 14h00. 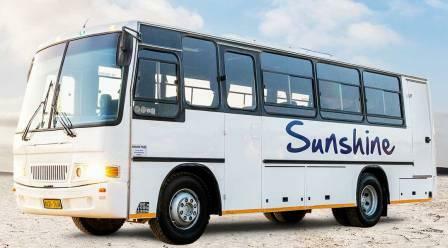 Depart Daily from Swakopmund to Windhoek at 8am as well as 15h00. 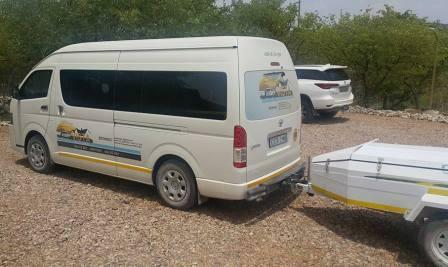 Their main shuttle route is between Walvis Bay/Swakopmund and Windhoek. Their drivers are all fully licensed and highly trained transport providers. 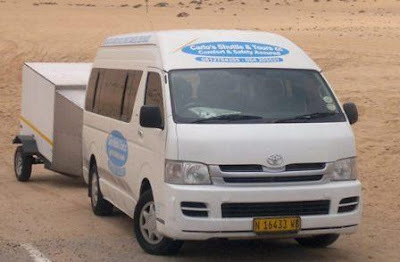 Welwitschia Shuttle Service Is a one stop transport solution between Windhoek and Swakopmund. 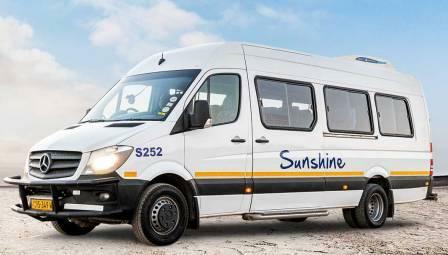 Safe and reliable service on a daily basis, The one shuttle where the owner is personally involved. They also do Airport transfers as well as Private transfers. They are under management of Owner and Founder Manda Bauer. They make sure to maintain the highest safety standards possible. All of their vehicles are non smoking. They do door-to-door pickups on request, please arrange this when you do your booking. The vehicles they use are top of the range Toyota Quantum 2.7 13 seater transporters which are being maintained meticulously. All of their drivers are very experienced and handpicked and are in possession of a Public Drivers Permit as required by law. They are therefore very proud to be able to say that as of now they have had good accident free record. They also have a Cartrack System installed on all their vehicles so that all vehicles can be tracked and monitored constantly. Their vehicles are also all equipped with airconditioning and safety belts which they ask you to wear at all times. For those passengers who are booked on the afternoon flight from Windhoek's Hosea Kutako International Airport, They use the Roof of Africa Hotel in Windhoek as layover location should they so wish. 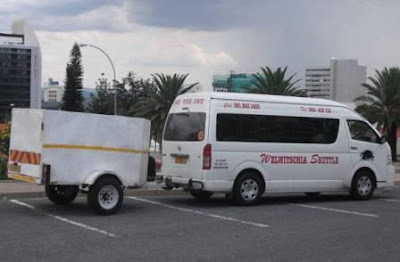 They then use Omahuka Transfers to deliver them from there safely at the airport. 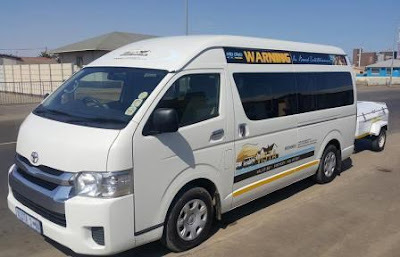 For those of our passengers who arrive at the airport early in the morning, They use Omahuka Transfers again to deliver them at Roof of Africa should they so wish, from where they safely deliver them to Swakopmund. For all Swakopmund passengers. the bus stop is at the Woolworths parking area right in the town centre. For all Windhoek passengers, the bus stop is at one of Windhoek's most famous landmarks, namely the German Lutheran "Christuskirche" church in Fidel Castro street, right in the centre of Windhoek. Pickups and Drop-offs can also be made along Windhoek route, which are on the B2 via Usakos, Karibib and Okahandja. Arrangements can be made for door-to-door pickups, please arrange beforehand. 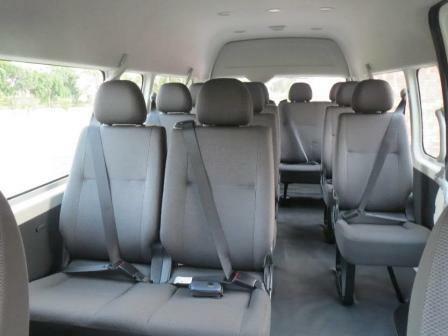 Ashley Shuttle Services and Tours also transport scholar transport services for school children from their schools to home offering a safe and guided transition for busy parents. Ashley Shuttle Services and Tours provides individuals, groups, government, private business travel solutions to leisure and corporate commitments. They offer a hassle-free and cost effective transfer service by their own fleet of executive sedans and mini buses to and from Hosea Kutako International Airport or Eros Airport to all areas in Windhoek. 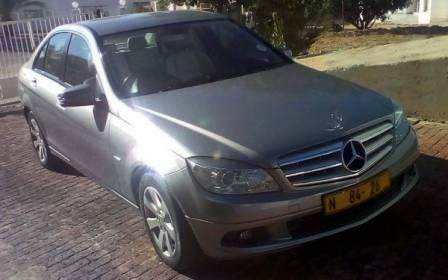 Clients can also organize transfers to other cities in Namibia from these airports in advance. Their highly personalized "Meet and Greet” welcome service awaits clients from the moment they enter the Arrival Hall at the airport, assisting them to board the pre-booked transportation and transferring them directly to major hotels or bed and breakfast accommodations. 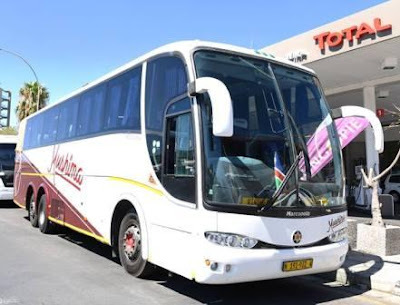 Their airport shuttle service provides the most economical & convenient link between Hosea Kutako International Airport which is 45km away from Windhoek and hotels or accommodation in the city. They require at least 24hour advanced notice for reservations pickup to the Airport. Scheduled pick up time to Hosea Kutako Airport of at least 2.5 hours before flight for regional flights and 3 hours before for international flights. 24 hour cancellation notice required for full refund of reservation payments. Extras for Airport Shuttle Services include Residential & Door to door Services and Direct Billing for corporate customers. Specializing in corporate transport, They are a full service V.I.P company dedicated to providing their hard-working clients with the highest standard in luxury and service. 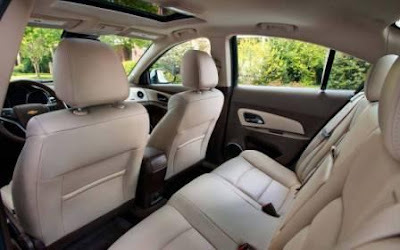 From town sedans to executive Mercedes Benz sedans, They have an extensive selection of first class vehicles in their fleet available to company executives. They are fully licensed and insured, and all our drivers are hand-picked for experience and courtesy to ensure a best-in-class experience. 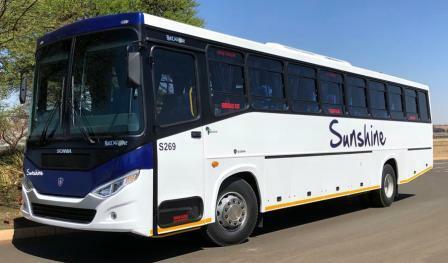 Under this service; They also provide contractual transport to shift employees who work odd hours or work in areas where public transport is a problem. This service is available in air conditioned Toyota Quantum mini buses and IVECO mini buses on annual or 2 year contracts. Hiring Services include services like taking someone to dinner, to a sporting event, or a drive around town to see the sites. 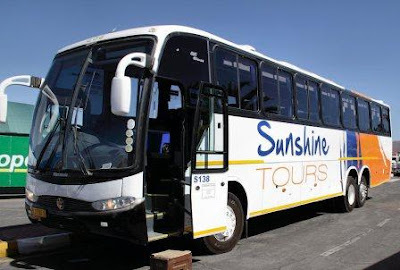 Managed by an experienced and dedicated team of multi-lingual travel professionals, Ashley Shuttle services and Tours offers a comprehensive range of travel and tourism services in Windhoek and Namibia at large. Apart from sightseeing tours and extension tours for groups; extras include hotel reservations, Visa Procurement for foreign nationals and Planning and Coordinating services for Meetings. 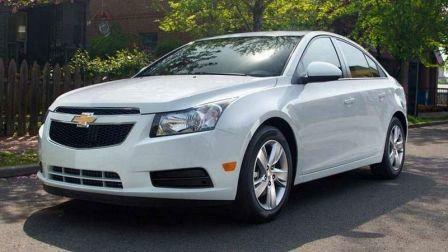 Are you tired of renting cars and struggling to navigate on our roads with Google Maps. While Google maps are a lovely and useful tool, it cannot explain and advise you of all the lovely attraction which Namibia land has to offer, while you are driving. So why not rent your vehicle from the rental company and rent a driver / personal navigator tour guide from them. Their personal navigators are all locals who have lived and grown up in our area. Hence they are equip and familiar with the area which will make your stay in their beautiful land even more memorable. They will also advise you on all the local tourist attractions, and if you are up to it, you can mix with the locals. 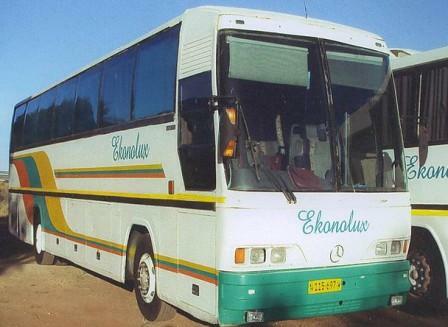 Ekonloux cc Is a Safe, Reliable, Insured and Guaranteed Transport for passengers in Namibia and neighboring countries. 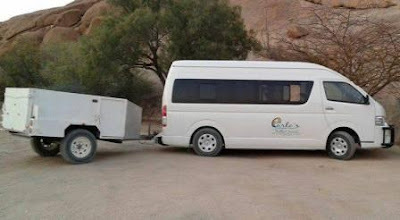 They serve for Staffs, Busines Transport, Contract Transport, Rental as well as Tours & Safaris. 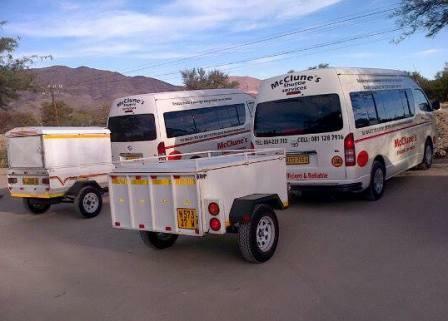 They provide daily transport to and from Grove Mall, Prosperita, Country Club from Katutura and Surrounding Suburbs. They also provide transport services to major cities and towns in Namibia like Windhoek, Katima Mulilo as well as crosss boarder transport to Cape Town and Lusaka. They provide safe and reliable transport for your workers to and from your workplace. All their buses are comprehensively insured and all buses carry public liability insurance. Depending on the type of usage, passenger liability vary from N$ 5 000 000, 00 to N$ 10 000 000, 00 per bus per incident. As they have an unblemished safety record for their operations, They enjoy excellent rates and cover from our insurance company. Ekonolux cc has a well-established workshop in Windhoek from where all bus maintenance is done. They have Invested in most Luxury Fleet in order to provide the best services to their customers. 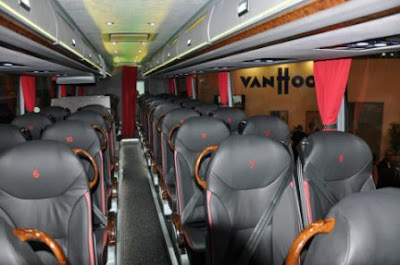 They are using Scania bus models with Marcopolo and Irizar Bodies as well as Man bus models. 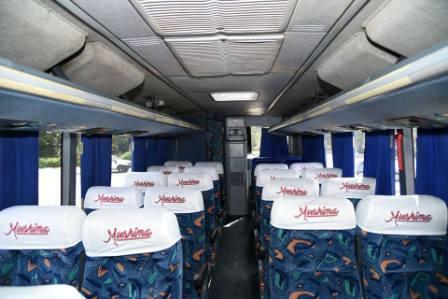 Their buses have reclining seats with 2 by 2 configurations and enough Legs room for comfort travel. They are also fitted with A/c services to provide their customers (Passengers) with fresh condition all the way long. 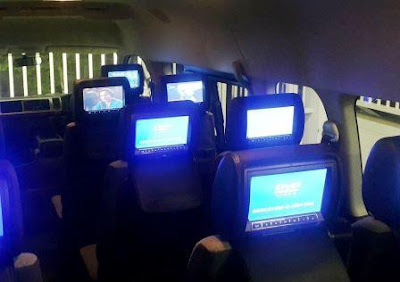 While you are traveling with Mushima Tours & Transfer, You will enjoy On board entertainment like Television services and good music from their sound system. 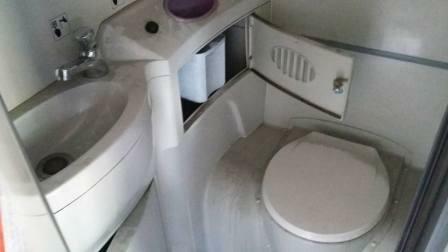 Their buses are also have refrigerator for you to keep you drinks cold all the time. 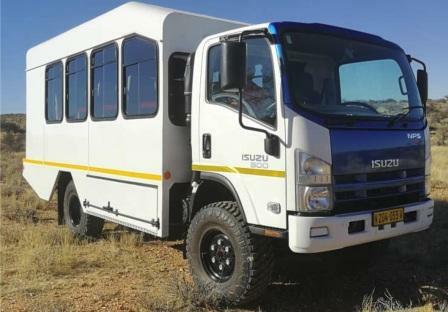 They are providing Bus Tours & Transfer, Passenger Transport, Bus for hire and Long Distance luxury transport between the two neighboring countries ( Namibia & South Africa). These routes Windhoek to Johannesburg & Pretoria, Windhoek to Cape Town are served bi-weekily and pre booking available for all who need to book early. They are also providing Employee transport and corporate executive transport in Namibia, This services available when they are coming into agreements with the concerning party (Passengers).